Munich - When you’re snapping at the heels of the UEFA Champions League spots like fifth-placed VfL Wolfsburg, what better way to underline your top-four credentials than to bring in superstar-in-the-making Kevin De Bruyne. Tried and tested in the Bundesliga and a hit on the international scene, the much-anticipated acquisition of one of Belgium’s hottest prospects is a clear indication that the Wolves mean serious business. Klopp should know. The Wolves are unbeaten in their last three outings against the Ruhr district might of fellow top-four candidates BVB, taking all three points from their most recent meeting on Matchday 12 of the current campaign. Dieter Hecking’s Wölfe have not lost since and now trail Dortmund by just two points at the halfway point of the campaign. Hecking, in particular, deserves much of the credit for his side's about-turn in fortunes. Since taking charge in December 2012, the former 1. FC Nürnberg tactician has progressively transformed a once patchwork outfit into a cohesive unit galvanised by a number of top-class procurements, but if Wolfsburg fans thought it could not get any bigger than Brazil international midfield guardian Luiz Gustavo, signed from FC Bayern München in August 2013, they will be absolutely delighted to have been proven wrong by the club’s latest coup. Said feather in the Wolfsburg cap, De Bruyne, earned his stripes at Belgian side KRC Genk, making his professional debut at the age of 17. By the end of 2011, his uncanny ability to ghost between the lines had caught the eye of English Premier League giants Chelsea FC, who tied the flame-haired midfielder down to a six-year deal. After returning to Genk for a year, the Drongen native graced the Bundesliga for the first time on another 12-month loan deal with SV Werder Bremen. 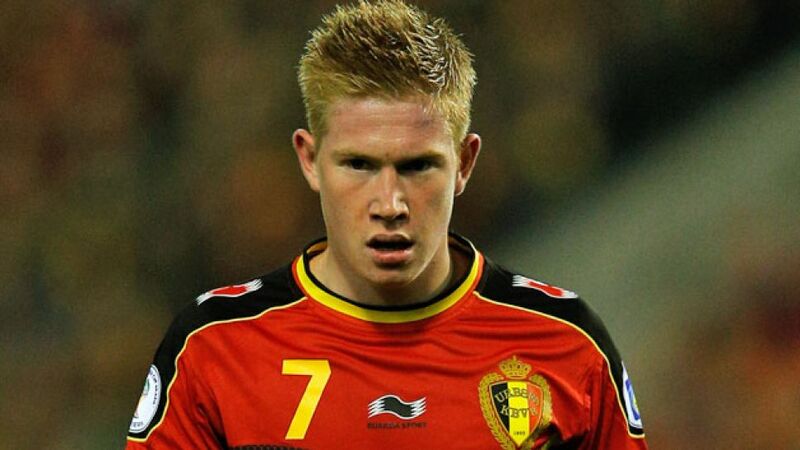 Although short-lived, De Bruyne’s season-long spell at the Weserstadion is unlikely to be forgotten in a hurry. In 33 appearances, the now 22-year-old scored 10 goals, including one against Eintracht Frankfurt on Matchday 33 of the 2012/13 season that saw Bremen live to fight another day in Germany’s top flight. Chelsea were only too happy to have him back, but with just three subsequent league appearances to his name under Jose Mourinho in this a World Cup year, De Bruyne’s mind was made up. From a vast number of suitors Europe-wide, the Low Countries’ latest superstar export handpicked the renascent Auto City Club as his next port of call in a move set to leave the competition wincing at the mere thought of even stepping foot inside the VW-Arena. With De Bruyne now on board, Klopp might well have a point about Hecking's voracious pack of wolves, who look to be on the scent of something very big indeed.